THE news that Rangers goalkeeper, Steve Simonsen had been banned for two games for betting comes just a year after his team-mate, Ian Black was found guilty of betting against his own team. Simonsen, found guilty of betting on 55 matches following a hearing before an independent panel is worth every way of a discussion. A 35-year old goalkeeper originally from South Shields would be described as an outsider because of his roots away from Glasgow. He was plucked into an environment, largely without any security or high-scale morale, stagnant largely through the rise of the Scottish Leagues. 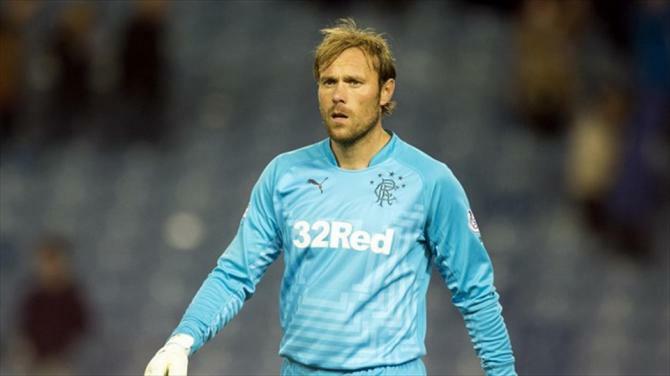 Simonsen released by Dundee was tempted as a majority of older players into a major club without knowing the backbone of viruses that have engulfed Ibrox Stadium. His team-mate, Black, a former Hearts and Inverness player was back in September 2013, guilty, being given a 10-match ban after admitting to a breach of Scottish FA regulations on football betting. Black, a midfielder of competence, had been accused of gambling on 160 matches over a seven-year period also related to his time in Edinburgh as a Hearts player. Black was booed on his debut as a Scotland international in his first and so far only cap in a exhibition match against Australia in August 2012. Simonsen’s marriage also came to an end last year and the goalkeeper despite a number of appearances for large scale clubs in the English Premier League in Everton and Stoke City in his past has not yet had the fundamental experience of being a regularly played number one goalkeeper for a heavily media-focused club. Context is crucial in these cases but the issue of gambling even in a further increasing health driven society is of a fundamental need of perspective. It is remarkably surprising however that the issue of gambling still exists, it is another denial that adds to the substance. 20 years after the famous John Fashanu, Hans Segars and Bruce Grobbelaar incident, there still remains a clear lack of transparency. In terms of Britain alone there is a huge need for openness about particular issues in certain environments. In a high scale operation such as Football, Britain is diverse but in sporting context, there are still issues that have to be triggered or in certain occupations, there is an non-tampered lack of clarity as to how a culture can affect the well-being of a club or a team. Placing emphasis in a reporting style on the protectors will not lead to full scale revolts. Simonsen’s manager, Kenny McDowall said he did not believe there was a problem of gambling within the club, the manager himself is keen to work his notice by trying to attribute the blame away from the players. Similarly after the case with Black, Ally McCoist also said that he had no problems with what Black had done that day. Kevin Kyle, a former player at Rangers who played with Black spoke about the high deal of gambling solutions within the Scottish game. In this case, the discussion is not new. Gambling as a particular activity is almost relational to footballers because even in the culture today of Britain, football clubs still train in the morning only. Footballers in Scotland do not earn a huge proportion of wages but in Britain generally players are in the high bracket of wealth at the top level equivalent to a banker or a stock-broker. The big difference being is while the hours are extraordinary long beyond normal working hours for in these particular professions, footballers have more free time. When a club is in crisis as Rangers have been as an epidemic, the case of redemption stakes prove to be a great deal higher. Rangers are in the spotlight rightly or wrongly because of what has happened to the club in the past four years. They have become one of the most scrutinised clubs in the world. Such pressure will almost mean maybe not a major deal of a clear open nature. The last emphasis can be on how we fix it? Discipline and leadership are required on a solid footing and required. An emphasis on what can be done on other sports needs to be reprimanded. It is also a cause of mental stimulation for a certain kind. An emphasis of team bonding but another way can be looked at from a British recreational point of view. Powerfully is it because Football is traditionally seen as a working-class sport? Supposedly gambling can go away but is there a desire to change for the better? That can be the only way that the players themselves if they are not going to speak about publicly can lie rather than let the problem consistently develop.